Talking books with a friend this past spring, I spoke of reading Alison Weir’s most recent novel about Jane Seymour, when my friend and her husband both told me how much they enjoyed reading a series of books by C.J. Sansom set in the same time period. The first in the series is titled Dissolution. I knew when the Dissolution took place during the reign of King Henry VIII – but I thought I would look up the definition of the word. I found that the word dissolution means closure, disbanding, termination, ending, suspension, and also that the word dissolute means degenerate, depraved, immoral, debauched, self-indulgent and dissipated. Which just about sums up this time in the history of Great Britain and its monarch. I found this novel began exactly where the last Alison Weir novel left off, in 1537, with the death of Queen Jane, “who had died of childbed fever two weeks before”. I meet, for the first time, Master Matthew Shardlake, a lawyer in the courts of England, and a Commissioner of Lord Cromwell, Vicar General of King Henry VIII. Cromwell is at the centre of a powerful political network, and has called in Shardlake to investigate the murder of another commissioner, Robin Singleton, who had been sent to a large monastery, Scarnsea, to secure their dissolution. Singleton had been be-headed in the kitchen and all are suspect. And so this complicated and thoroughly captivating story begins. This is the work of an author holding a Ph.D. in history, who was also a solicitor before becoming a novelist. He uses language, playfully trusting that his readers are intelligent, and might have the Shorter Oxford close at hand. We read words we somehow know and others we delight in discovering. The time period in which this novel is set is one of great turmoil in England. Henry has declared himself head of the church – the pope is out – and the monasteries and the citizens are in for a big change. Any word spoken against the King, as the head of the church, or against Cromwell and the reformation is considered treasonous and the penalty is death. But, it is not so easy to erase the past, and long held beliefs. 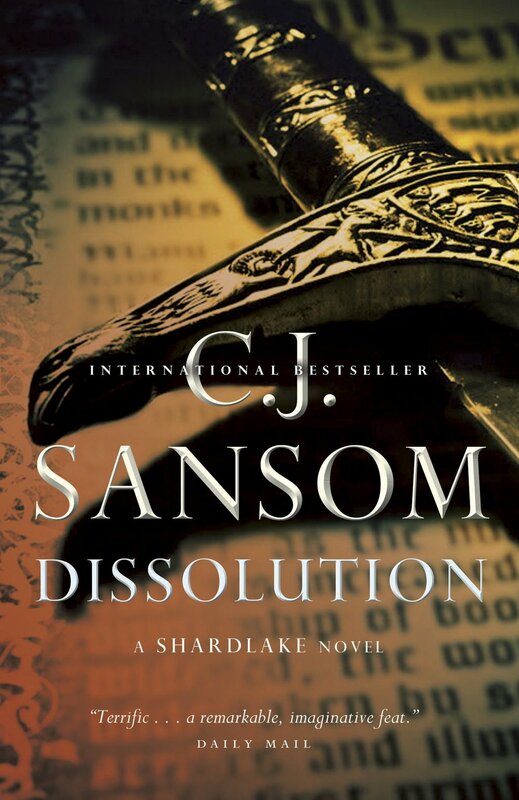 Even Shardlake, as he investigates, sees more and more clearly that though there was certainly corruption in the past that should be eliminated, perhaps the reformation is only creating a different sort of corruption. Though the story takes place almost 500 years ago so many of the concerns are not so different than those of the present day – concerns about changes in society, increases in taxes and, of course, who will clear the snow. In many ways I found the investigation and the discovery of the criminals, almost secondary to the fascinating world of England in 1537 and the lives of the people of that time. I certainly enjoyed reading about the fictional Matthew Shardlake, an intelligent and complicated man who understands his reactions to others are often coloured by his own likes or dislikes, and that his personal beliefs and prejudices may often cloud his ability to see the truth clearly. At the conclusion of this investigation Shardlake returns to his home in London – ready for the next installment, as am I!